Mantaray has been operating for approx. 12 years now and has hosted many guests from all over the world, including guests from within Australia. We are a Council registered B & B subject to inspections so you can be guaranteed that our standards are high. 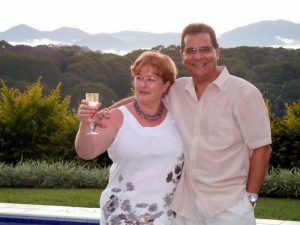 We are outgoing friendly hosts, who have an intimate knowledge of the local area and are more than prepared to share this with you. We are local agents for the many tours and attractions and can make suggestions as to sightseeing and or tour bookings on your behalf, just ask for information. Ask about our Eloping special which includes: Celebrant fee, accommodation, and photography. 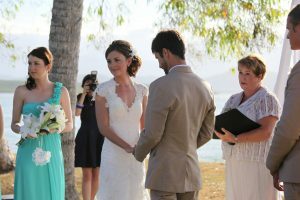 Anne is a social worker by background and is currently an authorised Marriage Celebrant and you can contact her to book your wedding in paradise. Fernando is a graphic artist by background and is currently a photographer and is available as a photographer for weddings.